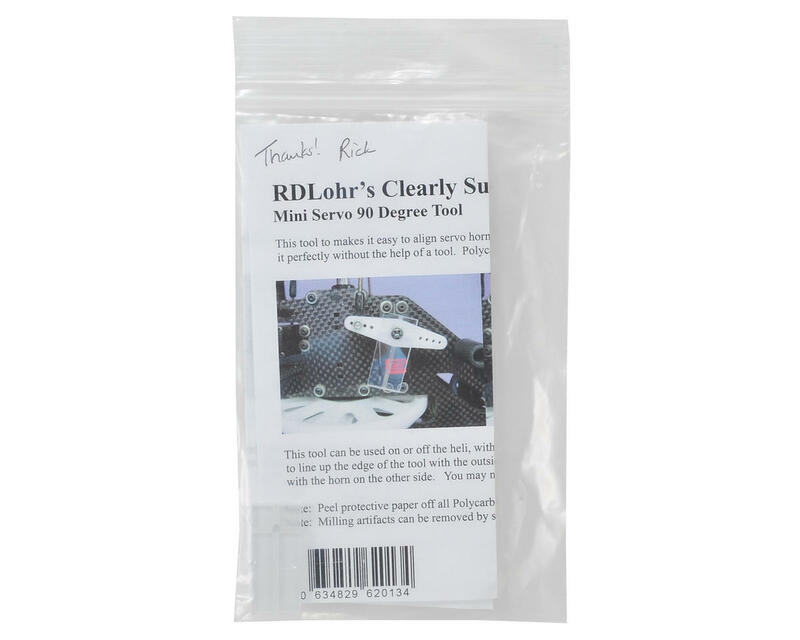 This is the RDLohrs Mini Servo 90 Tool. With the odd shapes of some servo horns it can be difficult to get the horn perfectly aligned using just your eyes. This tool simplifies servo horn alignment and will allow you to get your get a perfect 90 degree alignment on your servo. 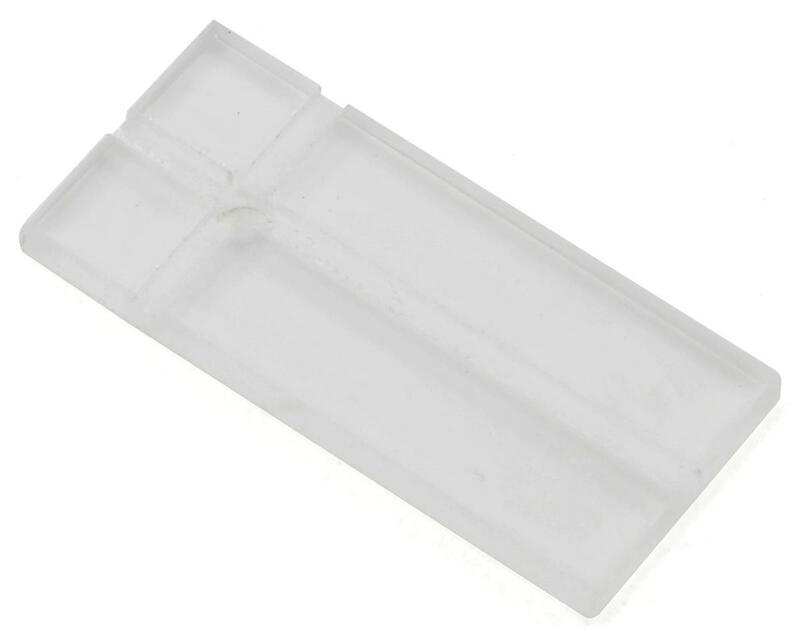 Plus, the polycarbonate tool wont scratch your paint! NOTE: Some servos may require extra washers/screws to mount. This hardware is not included.